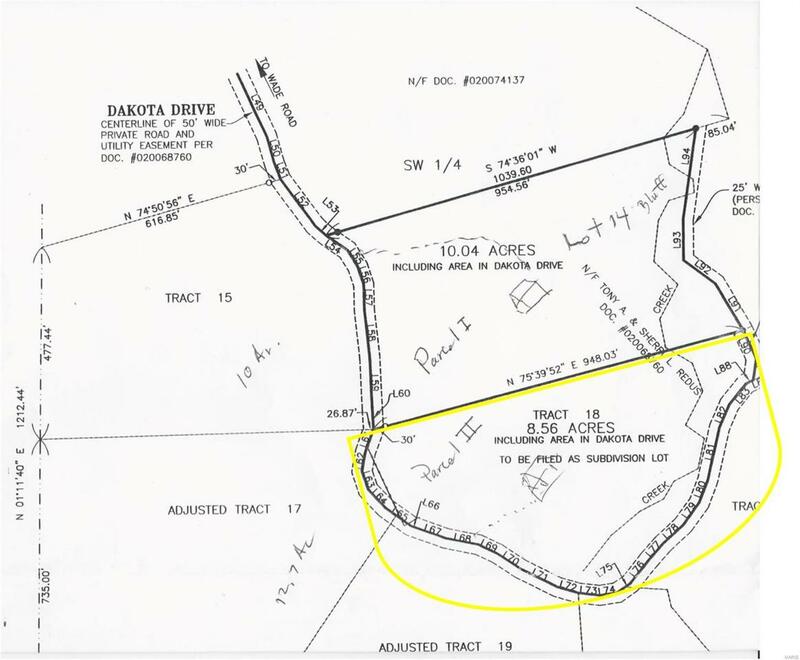 PARK-LIKE 8.56 ACRES IN DAKOTA HILLS, PACIFIC, MO. BUILD A HOME, OR JUST ENJOY AS A GETAWAY SPOT IN THE COUNTRY....SPECIAL FEATURES...MATURE HARDWOOD TREES, HIKING PATHS, ROCK BLUFFS, AND CREEK THROUGH THE VALLEY. GATED COMMUNITY. SOME INDENTURES...BACKS TO LA BARQUE CREEK CONSERVATION AREA...GORGEOUS HIKING TRAILS..ACCESS FROM THIS ACREAGE.